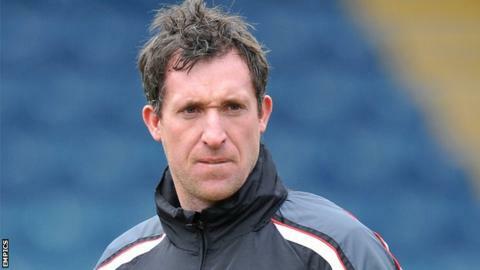 Former Liverpool and England striker Robbie Fowler is interested in the vacant Peterborough United manager job, BBC Radio Cambridgeshire reports. The 40-year-old, who also played for Leeds, Manchester City, Cardiff and Blackburn, has previously coached at first-team level with MK Dons. It is also understood that former Norwich defender Ian Culverhouse is another who is interested in the post. Posh sacked Dave Robertson on Sunday after a run of three wins in 17 games. On Wednesday, chairman Darragh MacAnthony said he had an unnamed four-man shortlist for the position with the League One club. Former Northern Ireland international Grant McCann will be in caretaker charge of Posh against Oldham on Saturday.